One of over 7,000 islands in the Philippines. Last week I departed on a two-week journey to the Philippines to help facilitate an intensive training with the Philippines Department of Environment and Natural Resources, National Oceanographic and Atmospheric Administration and United States Agency for International Development to enhance the Philippines marine protected area network. Based on WILDCOAST’s experience in California, Mexico and Cuba, I was asked to be a facilitator, with a group of local mentors, to train over 60 MPA managers from across the Philippine archipelago. 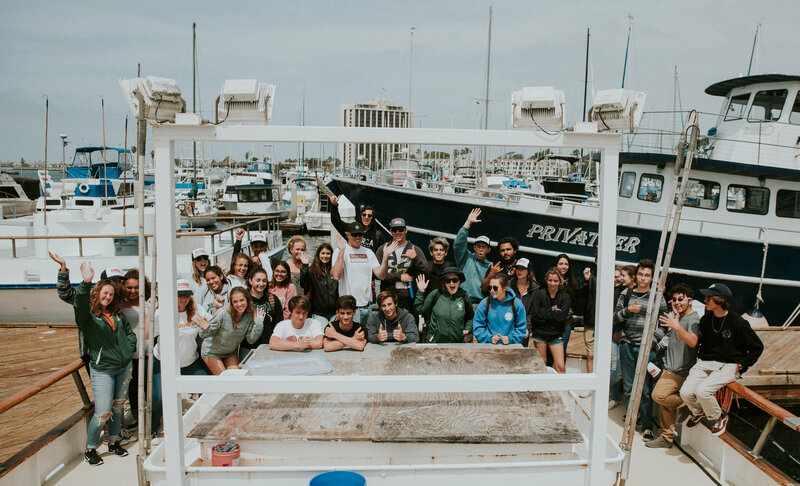 Last week students from Mar Vista’s Poseidon Academy program boarded the fishing vessel Sea Watch out of Seaforth Sportfishing Marina in Mission Bay and participated in WILDCOAST’s Floating Laboratory Project. Once aboard, students split into three research groups and began sampling water quality, plankton, and fish abundance and distribution. Under the guidance of WILDCOAST staff and volunteers, students used modern sampling techniques to measure various water parameters to determine water quality, executed plankton collection using towable nets, dropped GoPro video cameras on fishing rods to observe fish assemblage and dissected squid. When the three-hour sampling cruise was complete, each student research group presented their methods, findings, and the importance of their data, all of which was collected inside the South La Jolla MPA (marine protected area), to the other groups. They used the collected data to contribute to ongoing baseline monitoring efforts in California’s statewide network of MPAs. Sacramento, CA – In the wake of the controversial vote to oust Executive Director Charles Lester last week, Speaker Toni Atkins has released a bill designed to increase transparency and accountability at the California Coastal Commission and reduce the influence of special interests. The Commission reviews projects worth billions of dollars. Yet, for decades, lobbyists have been able to woo Commissioners without the public’s knowledge of how much these lobbyists are paid or by whom. The bill is co-sponsored by Assemblymembers Stone and Levine. With over 71% of the world’s surface covered in ‘global ocean,’ there is a huge amount still to learn about this vast watery desert. It is strange to think that we already know quite a lot about the waters that cover our planet, however scientists and marine biologists have only really explored 5% of the oceans. Seeing as the ‘global ocean’ is so large, it has been divided into 5 separate oceans, all of which are connected. The largest ocean out of the 5 is the Pacific. The pacific is roughly the same size as all of the land on earth, put together. The Pacific Ocean is home to the deepest depths on earth, which is situated in the ‘Marina Trench’, which sits at approximately 11Km (6.8miles) below sea level. The Pacific is also home to the highest mountain on earth, which sits at 10Km (6.2miles) above sea level. Mount Everest is only 8.8Km above sea level. The smallest ocean on earth is the Arctic Ocean and is home to the majority of sea ice on the planet. Did you know that nearly 7% of the ocean is covered with sea ice? 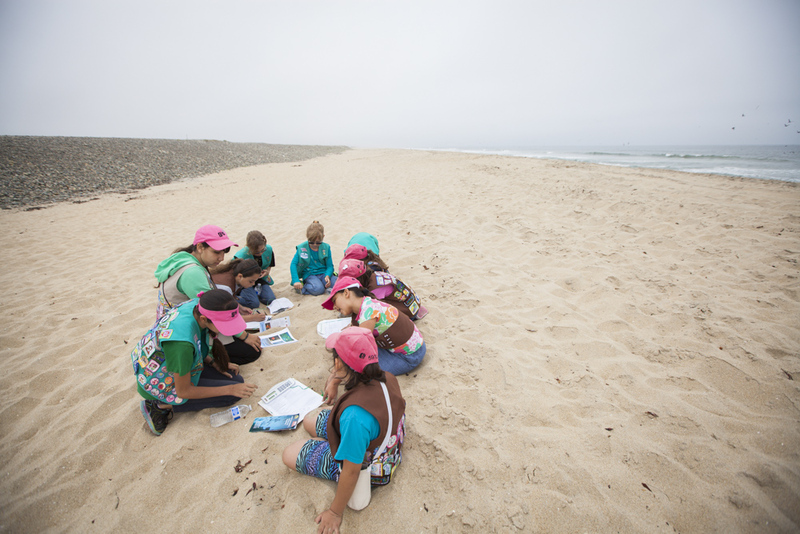 In the beginning of 2014, WILDCOAST and the Girl Scouts of San Ysidro, developed the first Junior Marine Protected Area (MPA) Watch program in California. The program is designed to gather data on how people are using the MPA network and help guide future management decisions. The Junior MPA Watch program is engaging younger audiences in citizen science and greatly contributing to the statewide project. Today, over 100 youth in San Diego County have participated in the program, many from Girl Scout troop 5912 in San Ysidro, one of the county’s most park-poor communities. Although the Girl Scouts love to play and learn in their closest MPA, the Tijuana River Mouth SMCA, they are also spending their free time helping WILDCOAST protect it. 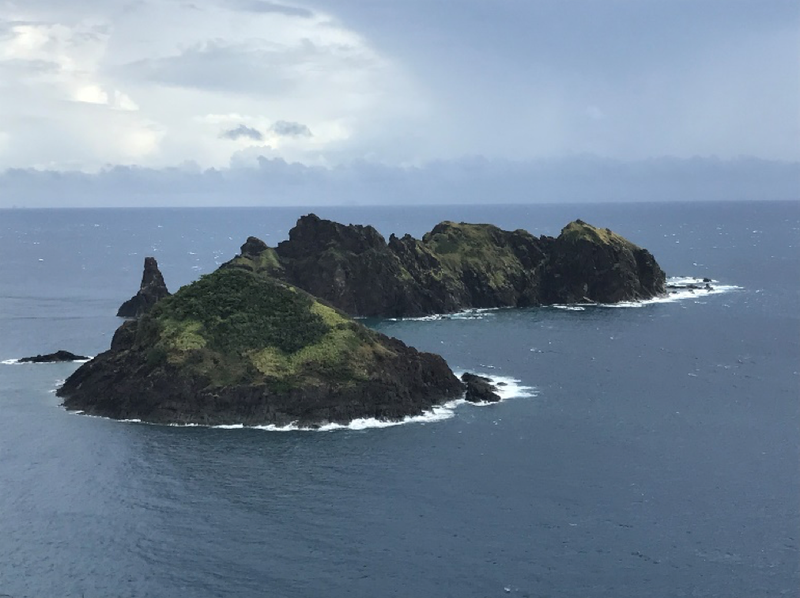 On June 15, 2015 two girl scouts from 5912 took on a new role in the program and trained eight of their group members to conduct the MPA Watch surveys. Maite and Ileana, both have been very active in the program and other efforts to improve the MPA and nearby estuary. They have carried out beach cleanups, done storm drain stenciling in their community and have even visited local elected officials to ask for further open space and MPA protection. With their help, now even more local youth are stewarding one of the county’s underwater parks and helping to guide an effective future for our MPAs. Last week, WILDCOAST got the opportunity to join Captain Michael Quill and the team from Los Angeles Waterkeeper to experience first-hand their boat-based MPA Watch Program off Palos Verdes. 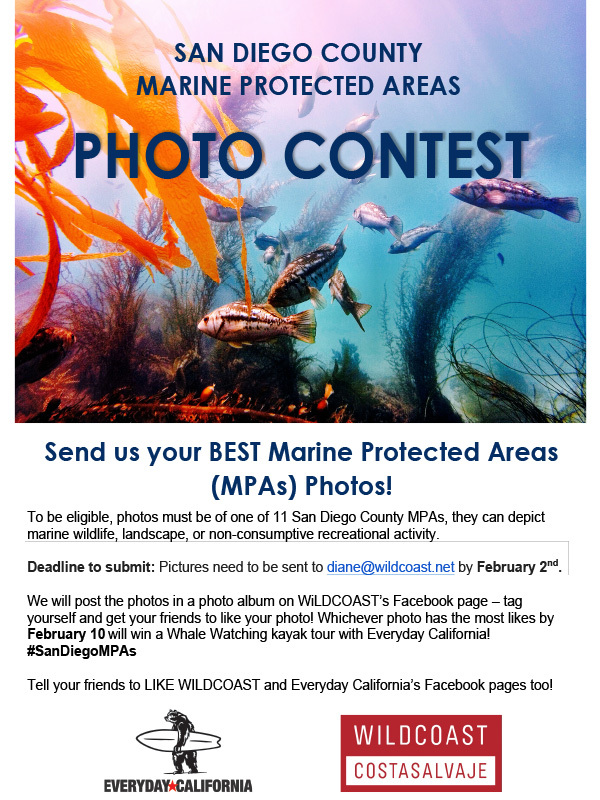 Over the last two years, WILDCOAST has been carrying out a shore-based MPA Watch program in San Diego County, as part of a statewide effort, to understand how people are using our MPAs. Through the project we have trained over 80 volunteers. Los Angeles Waterkeeper has a similar program, but from a different perspective; taking the surveys from a boat. 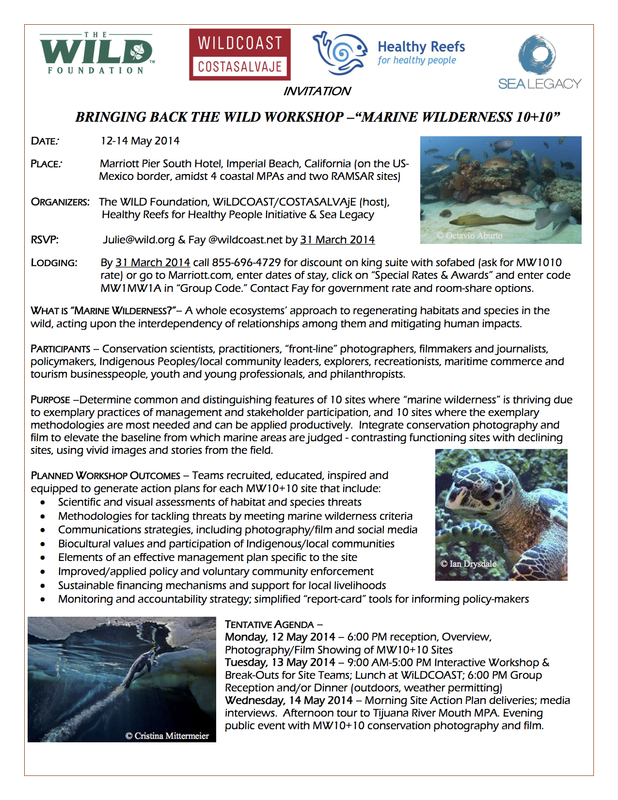 Their mission is to record how people are using Los Angeles MPAs, specifically off-shore activities, while conducting outreach and education in and around the MPAs. Through volunteerism and friendly outreach this is an excellent way to directly educate and engage community stakeholders. Most MPA Watch surveys in the state are being carried out from shore. LA Waterkeeper’s boat-based surveys compliments this work and greatly contributes to our understanding of how people are using the MPAs. Underneath the water off of San Diego’s coastline there is an array of marine wildlife for you to explore. You don’t have to go very deep to experience these amazing creatures up close. During negative tides, head to your nearest shoreline reefs where water pools and find a window into the intertidal world. Our MPAs are home to San Diego’s best places to “tide pool.” On the reefs around Swami’s, La Jolla and Point Loma you can find a diversity of wild marine invertebrates like sea stars, anemones, octopuses and sea hares among many others. Alpine Girl Scouts Get Excited About Their Marine Protected Areas. This past Saturday I spent the morning with an amazing group of 105 girls, the Girl Scout Troop #6323 from Alpine, California. The girls invited me to talk about the importance of “not littering” and keeping our streets clean, but I decided to add one thing to the talk: our ocean! Though the community of Alpine is not “close” to the ocean, the girls learned how trash and other pollutants left in streets, near creeks or rivers, can affect our oceans and our Marine Protected Areas (MPAs). It is important for us to see the BIG picture, just because we don’t see the trash doesn’t mean it’s gone. The girls learned about San Diego’s new MPAs, which was a new concept for them, and all the different marine wildlife they can encounter in those areas. Like one girl said “so they are better than aquariums?” YES! You can see animals in their natural habitats, but you have to be very careful because they are protected by law so future generations can also enjoy them. The girls were so excited they could’t wait to tell their parents that they could go kayaking or snorkeling in these areas. 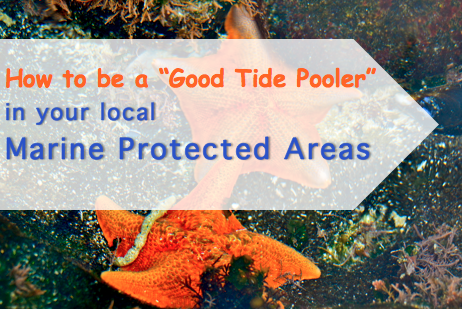 After we talked about MPAs, we dove in to how to keep them clean and healthy. We discussed different ways to make sure trash or any other pollutants don’t end up in the ocean were animals and humans can get hurt by them.